A world away from life’s pressures, Sivory Punta Cana is a secluded, tropical beach resort that seduces you into total relaxation. With expansive and comfortable suites, golden sand that stretches as far as the eye can see and a superb spa, Sivory Punta Cana offers complete tranquility. 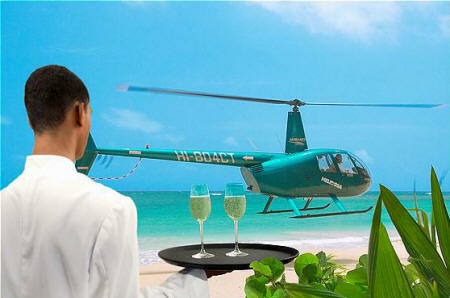 Arrive in style from the airport by opting for a helicopter transfer. Guests are then whisked away to spacious suites that open out to feel the Caribbean breeze from your private balcony or terrace. Stay in a larger-than-large suite with a private plunge pool or wander to the pool and relax at the in-pool lounge.